The Tesco Bags of Help Scheme awards money raised from the 5p plastic bag charge to fund community projects across the UK. To qualify for a grant, projects must be of benefit to the local community. If a project is chosen for funding, shoppers in the local branches of Tesco can vote with tokens to determine the amount each project will receive. 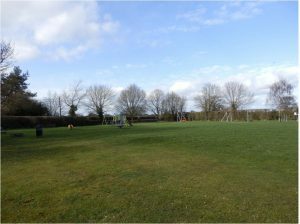 Haughton Parish Council applied successfully for funding to improve the community facilities at the Jim Jarvis Memorial Playing Field. 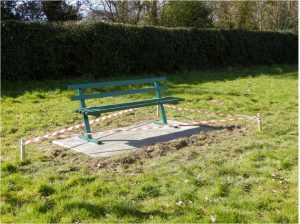 The council is grateful for the award, and would like to thank the Tesco shoppers who made it possible for three improvements to the area to be undertaken. 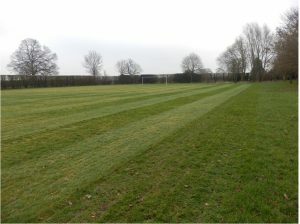 The football pitch is undergoing specialist treatment which will raise it to the high standards set by the FA for professional pitches. 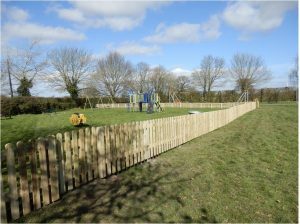 The work involves aerating, weeding and cutting. The work began in February. 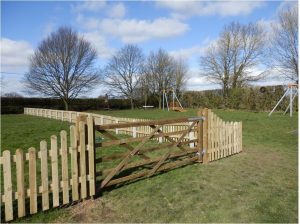 A new fence has been installed around the children’s play equipment to enhance safety for the area’s users by separating it from the football pitch and from the equipment for older children and adults. 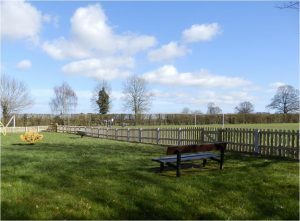 Three new benches have been added to the field, one in the children’s play area and two overlooking the football pitch. 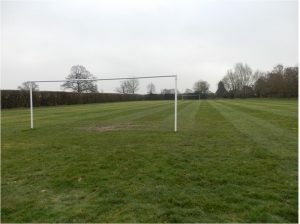 It is hoped that these improvements will be of benefit to all users of the playing field in the spring and summer months ahead, and for many years beyond.